Halloween may not be until the end of this month, but there are lots of opportunities in Lake Oswego to get your spook on before then. Check these out. Create a Pumpkin Treat Bowl. It may not be scary, but it will make handing out your treats a lot more festive. This class teaches you how to build a pumpkin paper mache container for all your Halloween goodies. Friday, October 9 from 1:00 p.m. to 3:00 p.m. at the Lake Oswego Adult Community Center. Cost is $24 for Residents; $36 for Non-Residents. Register for Class #12343 at the Lake Oswego Parks and Recreation Department. Lakewood Theatre Company Halloween Costume Sale. There are treasures to be found at this event to make your Halloween costume a one-of-a-kind. Check out my previous post. 10:00 a.m. to 6:00 p.m. on Friday and Saturday, October 16-17. 12:00 p.m. to 5:00 p.m. on Sunday, October 18. Lakewood Center for the Arts Community Meeting Room. 368 S. State Street. Luscher Farm Scarecrows. Take a tour of the more than 90 scarecrows and see if you can find sneaky Pete! 125 Rosemont Rd. Teen Lounge Scary Movie Campout. 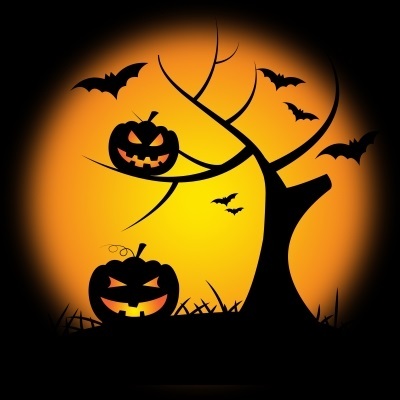 A full evening of spooky fun for 11-17 year olds includes s’mores, scary movies and planning who is going trick-or-treating and where. Friday, October 23 from 5:00 p.m. to 9:00 p.m. at Palisades School, 1500 Greentree Rd. 503.675.2549. Halloween Night at Lakeridge High School features games and activities for young children. Wednesday, October 28, from 5:30 p.m .to 8:00 p.m. in the lower gym and hallway. 1235 Overlook Drive. 503.534.2319. Halloween Movie Night. The library will be hosting a Family Movie Night for the younger crowd and their parents showing The Nightmare Before Christmas from 6:00 p.m. to 8:00 p.m. Snacks are included but bring your own blankets for cuddling up. Thursday, October 29. Lake Oswego Public Library, 706 Fourth Street. 503.697.6580. Zombie Garden Day for ages 5-12. With school out the Friday before Halloween, the kids will have lots of excitement to burn off. Let them do it while planting a zombie garden, dressing up in zombie rags and doing the zombie stomp to spooky music. Friday, October 30 from 9:00 a.m. to 4:00 p.m. at Luscher Farm, 125 Rosemont Road in West Linn. Cost is $60 for Residents; $90 for Non-Residents. Register for Class #12322.503.675.2549. Go Trick-or-Treating in the Best Lake Oswego Neighborhoods. Check out my round-up of the most popular neighborhoods for trick-or-treating in Lake Oswego. Don’t be spooked by trying to figure out how to sell your home or find a new one in Lake Oswego. Give me a call at 503.939.9801 or check out my website — I’d love to put my over 25 years experience and love for Lake Oswego to work for you. This entry was posted in Seasons in Lake Oswego Oregon, Things to Do in Lake Oswego and tagged Halloween, Lake Oswego Oregon, Trick-or-treating in Lake Oswego Oregon. Bookmark the permalink.